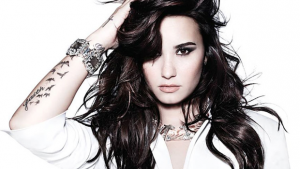 Demi Lovato has discussed her public battle with bipolar disorder. The Disney star announced her diagnosis in April 2011 after she had entered rehab to cope with a long string of issues. “It’s a daily thing. I treat it with medication,” she told Cosmopolitan for Latinas. “Not everybody does that, but for me it works. “When I was younger, I needed someone in the spotlight to idolise, who stood for positivity and light and happiness, and wanted to change the world.